More than 100,000 people gathered in the Norwegian capital to express their sorrow and support for the victims of the twin attacks that claimed 76 lives on Friday. 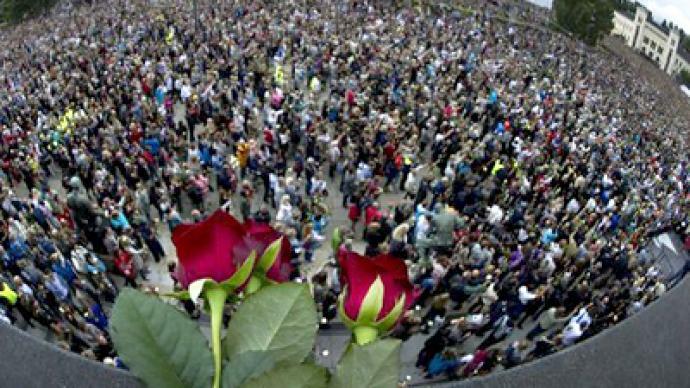 The mourners planned to march on Monday, but the crowd was too large to move through the streets of central Oslo. Instead people who came to pay respect to the victims of the worst peacetime massacre in the country’s history stood with white and red roses in their hands. 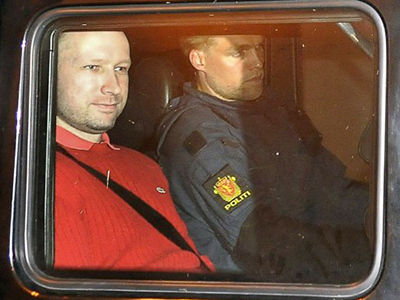 The vigil was attended by Crown Prince Haakon and Prime Minster Jens Stoltenberg. "Tonight the streets are filled with love," the crown prince told the grieving crowd. A powerful explosion rocked government buildings in the center of the Norwegian capital on Friday. Shortly after the blast that claimed eight lives, a man dressed as a police officer opened fire at a Labor Party youth gathering near Oslo, killing 68 people. 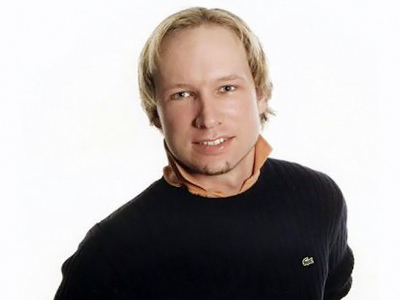 On Monday, the suspected mastermind of the massacre appeared in an Oslo court, where he confessed to the attacks but pleaded not guilty. 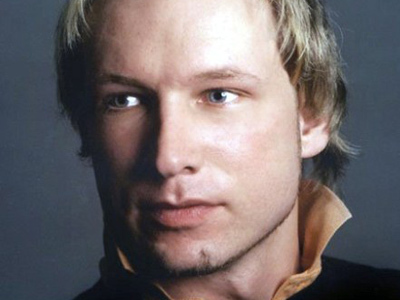 He claimed that he wanted to save Western Europe from a Muslim takeover. 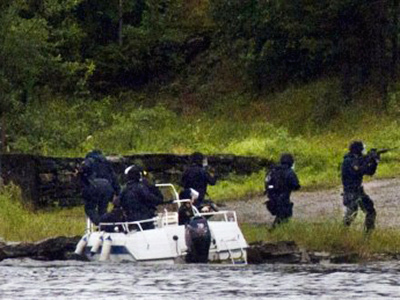 The Norwegian police, who were unprepared for such an attack, are facing severe criticism for their hapless response.